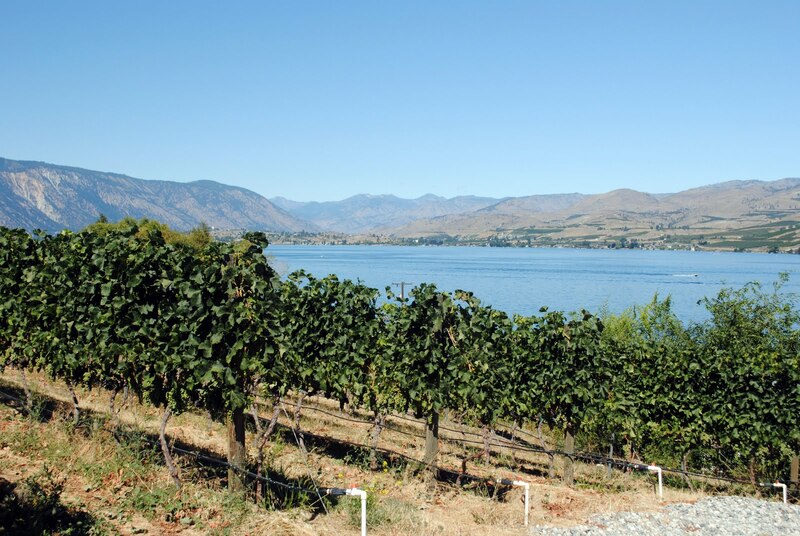 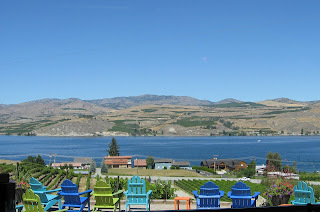 Today, a few pictures from Monday from the always scenic Lake Chelan AVA. 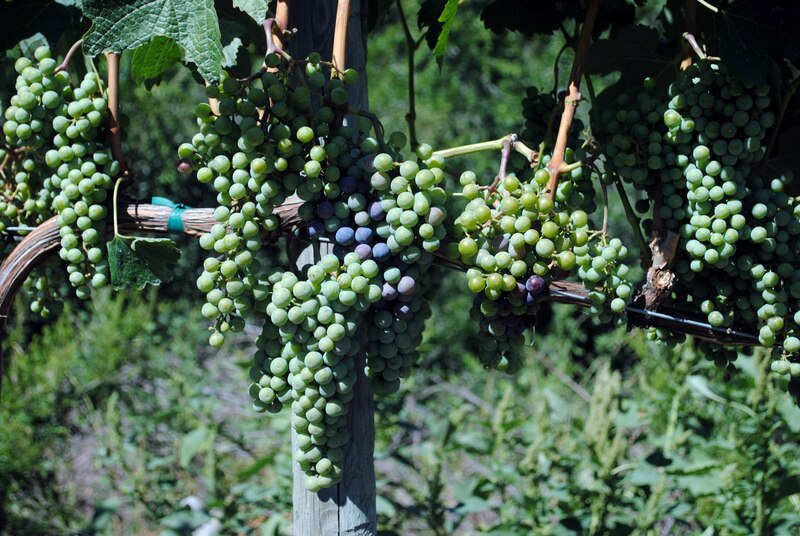 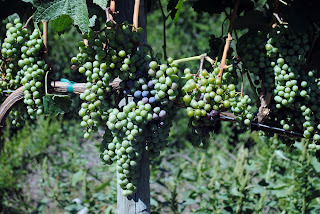 Veraison is underway in many locations, although not yet in others or for particular grapes, such as Cabernet Franc. 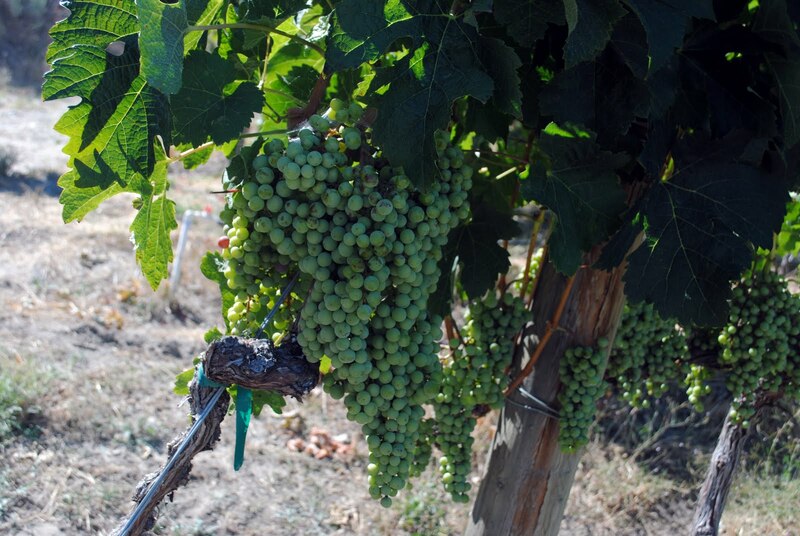 Most people I spoke with reported being two weeks or more behind schedule. 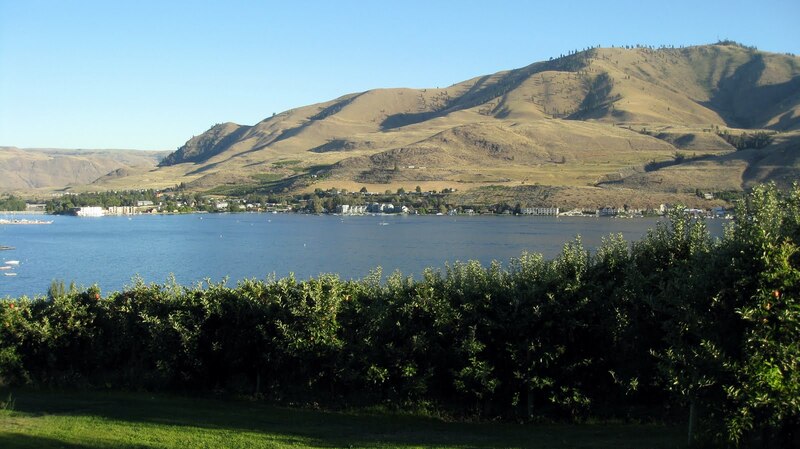 By comparison, many other regions in the state estimate being ten days behind their historical schedules. Click on the pictures for larger images. 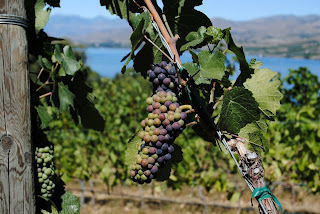 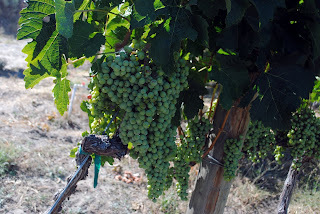 Veraison at Chelan Estate Winery & Vineyards. 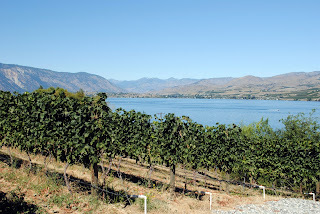 View from Vin du Lac. 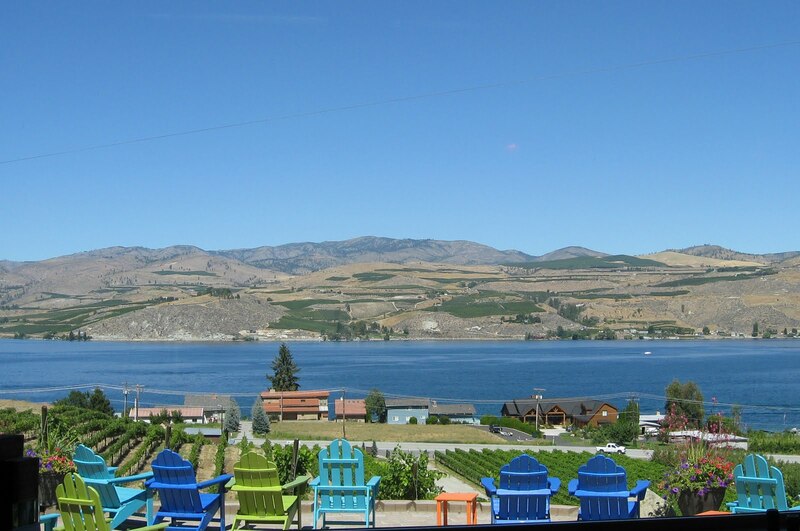 The patio at Nefarious Cellars. 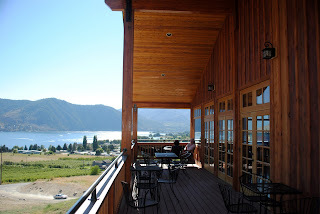 The deck at the area's newest winery, Chelan Ridge which opened last week (no website yet).